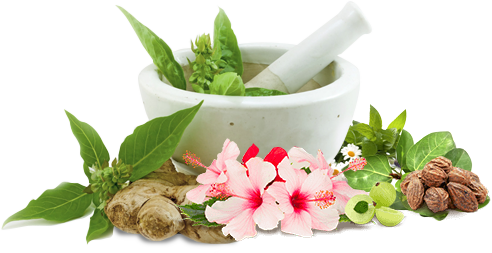 According to Ayurveda our body is composed and made of seven vital tissues. They are called Dhatus.Every vital organ like brain, liver or other tissues like muscles, tendons, blood vessels are all formed of one, or combinations of two or more of these Dhatus. The structural integrity and functional efficiency of every organ and other tissues including muscles,tendons,nerves,blood vessels etc depends on the optimal functioning of the dhatus.If there is any disturbance ,either structural[ or functional occurs in the dhatus it is reflected in the organ or tissues concerned as abnormal physiology which leads to manifestation of diseases in the body. So Ayurveda has laid great emphasis on maintaining high levels of structural and functional efficiency of the dhatus. Each Dhathu is structurally and functionally different. Some are solid in nature, some are liquid and some are highly viscous in nature.These dhatus are not static. They are in continuous flux caused by the highly complex metabolic activity of the body. They are continuously forming, then retained in the body for a specific period of time and then get dissipated. Physiologically these processes are called anabolism, metabolism and catabolism respectively. So they should be continuously nourished through healthy food. Dhatus are not compartmentalized. They are interconnected and communicate at both micro and macro levels.They integrate into each other so that sometimes it may be difficult to separately identify each other.They support and nourish each other. Each dhatu is nourished by the preceding dhatu and when the circumstances warrant, they provide nutrients in horizontal and vertical order.The quantity and quality of each dhatu should be maintained at normal range to enjoy proper health. respectively.Other than giving structure to various organs the dhatus has its own specific character and functions. The main functions of the seven dhatus are as follows. Rasa dhatu refers to the primary waters of the body. The word rasa means sap, juice, or liquid. In the physical body, rasa refers directly to the plasma, or non cellular portion of the blood; the lymph, and interstitial fluids. This Dhathu is analogous to as blood and other blood elements. The main function of the Raktha dhatu is Jeevana which means creating and sustaining the most ideal internal environment for Life. This dhathu helps to form structure to the body along with the asthi dhathu and helps to give strength to the body and gives nourishment to the next dhathu. This dhatu gives cohesive strength to the different tissues of the body. This dhathu helps to bind all the dhathus and tissues fomed by the dhathus together. This Dhathu gives structural frame to the body and nourishes the next dhatu.It also houses the Majja Dhathu. This dhathu gives strength and immunity to the body and supports the Asti dhatu by being housed in the Asthi dhatu. This is the reproductive tissue of the body. This dhathu is responsible for fertility healthy progeny, marital health and happiness promotes vitality and vigour to the body. mental courage, magnetism, youthful vigour and immense vitality and stamina. Sukra Dhathu has a vital role in maintaining youthfulness and long life to the person. Sukra Dhathu prevents the signs of aging from affecting the body. So maintaining the quantity and quality of Sukra Dhathu is of utmost importance. If Sukra dhathu is depleted or its quality is compromised, the person ages fast, loses stamina and becomes weak in all physical and mental aspects.So it is vital to keep optimal level of Sukra dhathu in the body. Sapthagen Forte by its unique mechanism of synergy provides direct nourishment to all the seven dhathus simultaneously. Another special feature of Sapthagen forte is that it provides extraordinary nourishment to Sukra Dhathu. Sapthagen forte corrects all defects in Sukra dhathu and helps to maintain optimum level of Sukra in the body. Sapthagen forte prevents depletion by replenishing sukra dhathu by facilitating the production of high quality Sukra Dhathu. Ayurveda explains that among the seven dhathus (vital tissue system) Sukra dhathu is responsible for reproduction and marital health. High level of reproductive and marital fitness depends upon the optimal functional efficiency and structural integrity of Sukra Dhathu. As a result of continous stress, lack of discipline in life, environmental pollution and others factors which are detrimental to health, the Sukra dhathu loses both its functional efficiency and structural integrity or gets depleted. This results in various ailments like chronic fatigue, weak reproductive system, lack of energy and vitality, impotence, loss of libido etc. Sapthagen forte by its unique mechanism gives direct nourishment to sukra dhathu and corrects all deficiencies of sukra dhathu. Thus Sapthagen forte effectively corrects all marital weaknesses and helps to maintain optimum level of high quality sukra dhathu in the body resulting in optimum marital fitness for a long time. Dosage: 15-20 gm once or twice daily. It is recommended to have twice daily for the first 90 days and then followed by once daily. Above 50 3 to 6 Bottles. Copyright © 2019 Sapthagen Forte. All Rights Reserved.